There are people who, even at an advanced age, just seem a little healthier, happier and less affected by time than everyone else. You will learn what exactly these people are doing (and it has nothing to do with genetics) to age so well and how you can form these exact habits without feeling like it’s a chore. 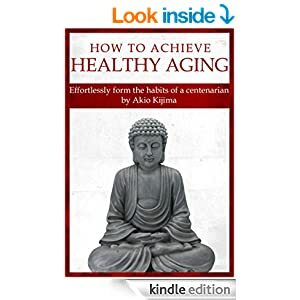 The book teaches you how to cultivate a positive mindset, how to become physically fit for life (again, it has to be something that you like doing. It cannot be something that you have to push yourself to do). Right nutrition is key in achieving healthy aging and staying mentally and physically fit for years to come. Surround yourself with positive people who have similar goals in life. You will learn just how underestimated and powerful meditation is and what the right kind of meditation is (because there are quite a few). Discover what part your genetics actually play.